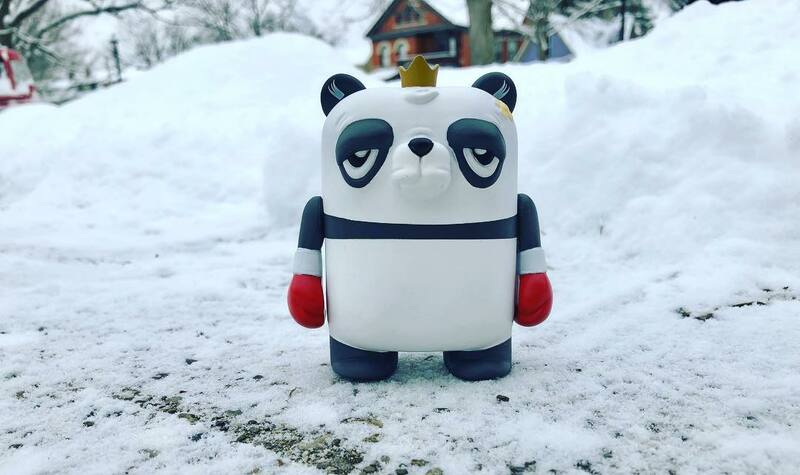 The fifth colorway of popular Chicago artist JC Rivera’s new The Bearchamp vinyl figure drops today, Friday, February 1st, at noon CST! 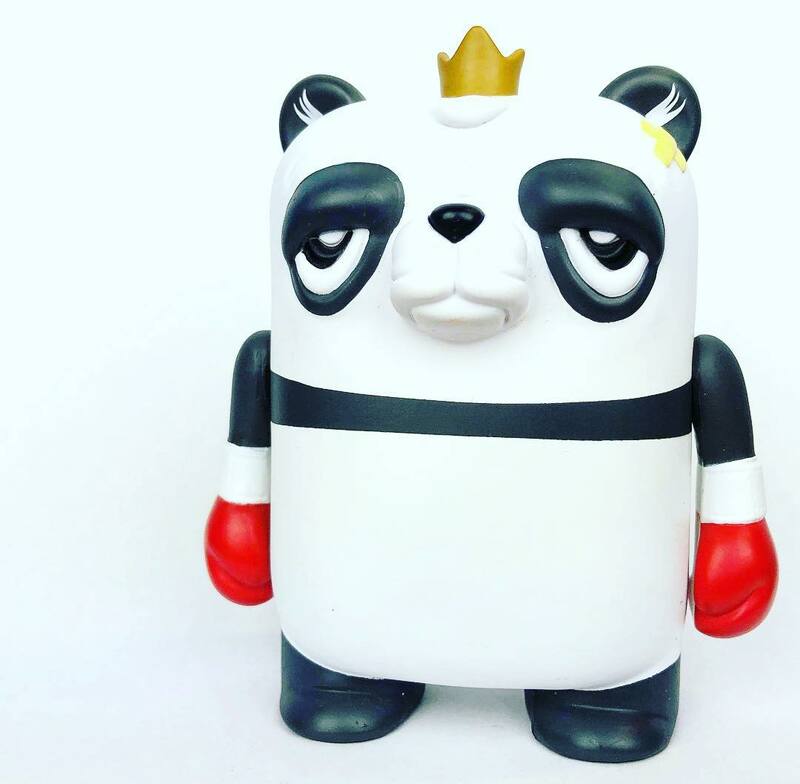 Produced by UVD Toys, the Bearchamp Panda Edition features a black and white color scheme with red boxing gloves and a gold crown. This new version of The Bearchamp stands 4” tall and features 2 points of articulation. Limited to 100 pieces, this limited edition figure will retail for $50 exclusively at JC Rivera’s online store.